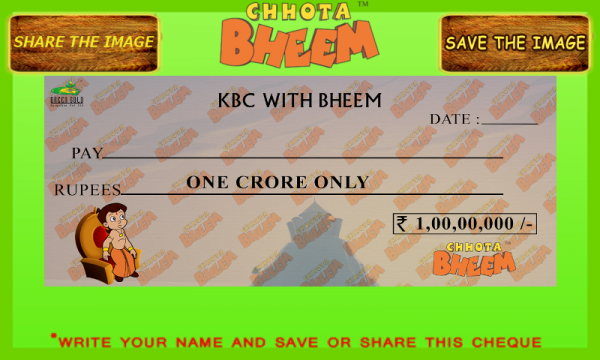 Click here to claim KBC Quiz with Bheem. 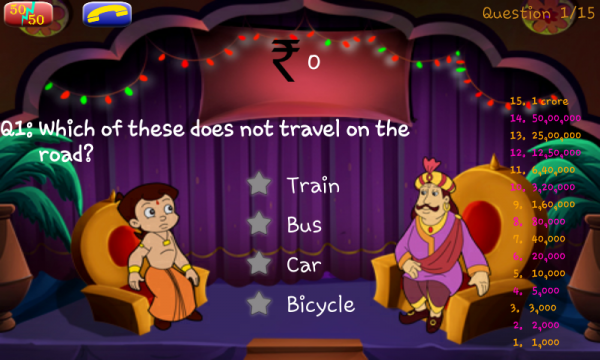 You will be presented a set of 15 questions and if you answer all of them correctly, you become a crorepati in this Quiz. 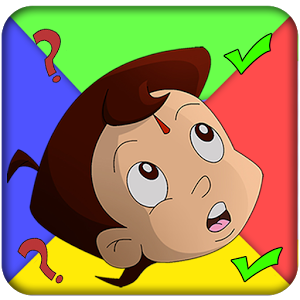 You can take the help of 2 lifelines. 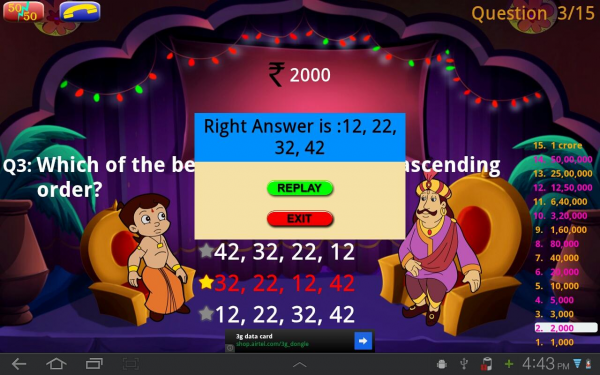 Download KBC Quiz with Bheem from these app stores today.